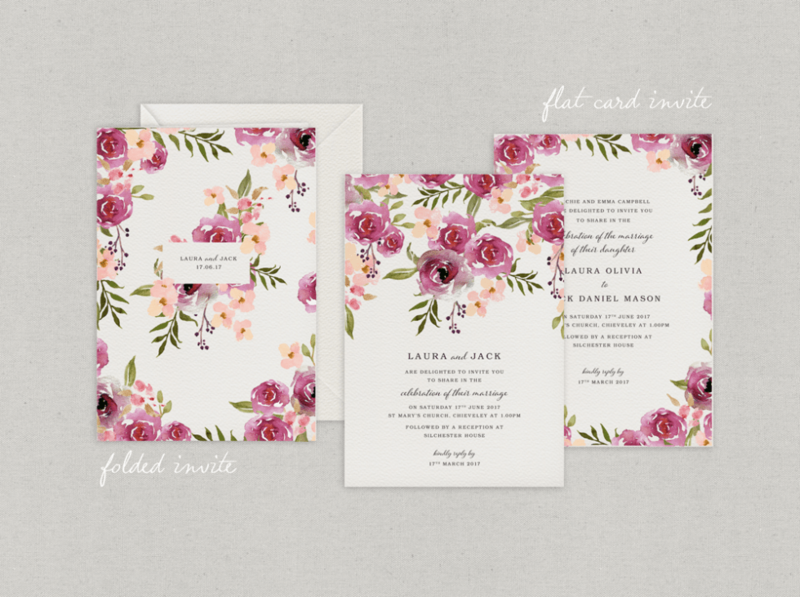 A gorgeous new wedding stationery collection. 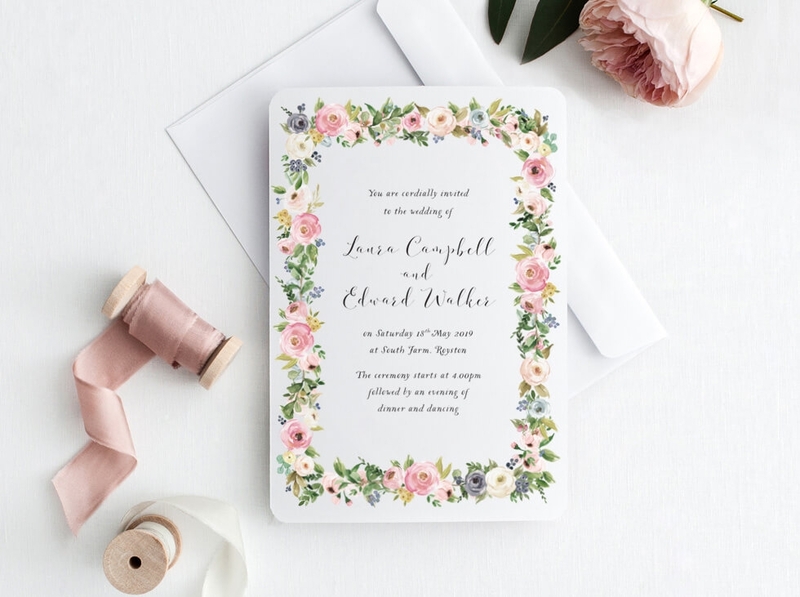 The design features a fanciful frame of pink and blush Peonies with luscious green leaves. 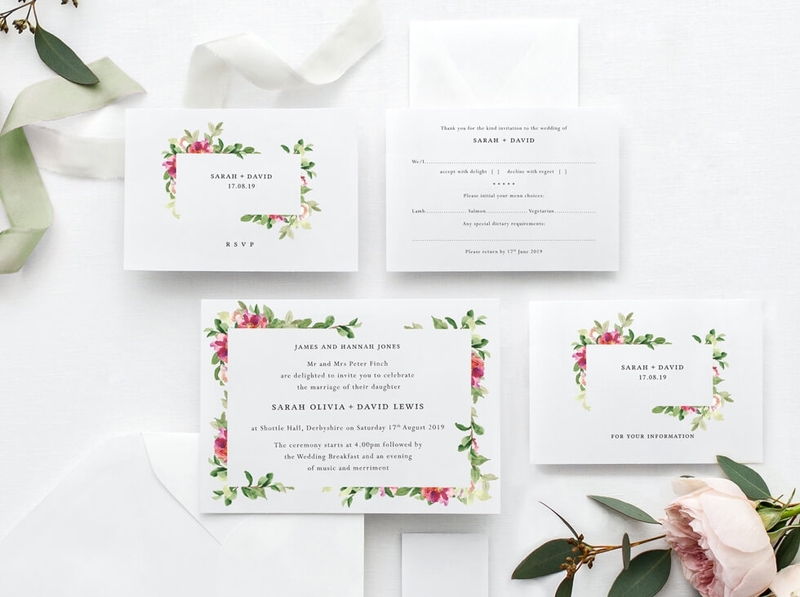 A charming wedding stationery design with an abundance of pretty flowers and green leaves. 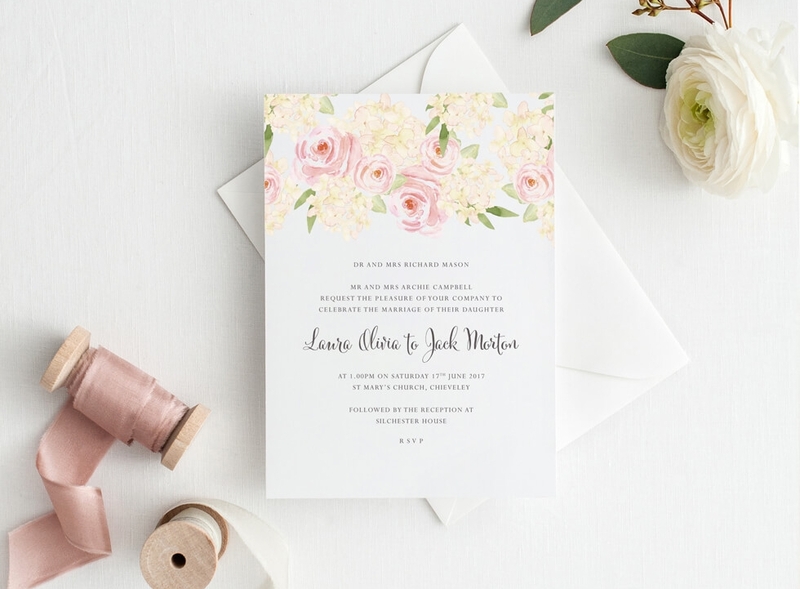 Quirky calligraphy and cute styling make this whimsical wedding stationery collection, perfect for a relaxed and laid back celebration! 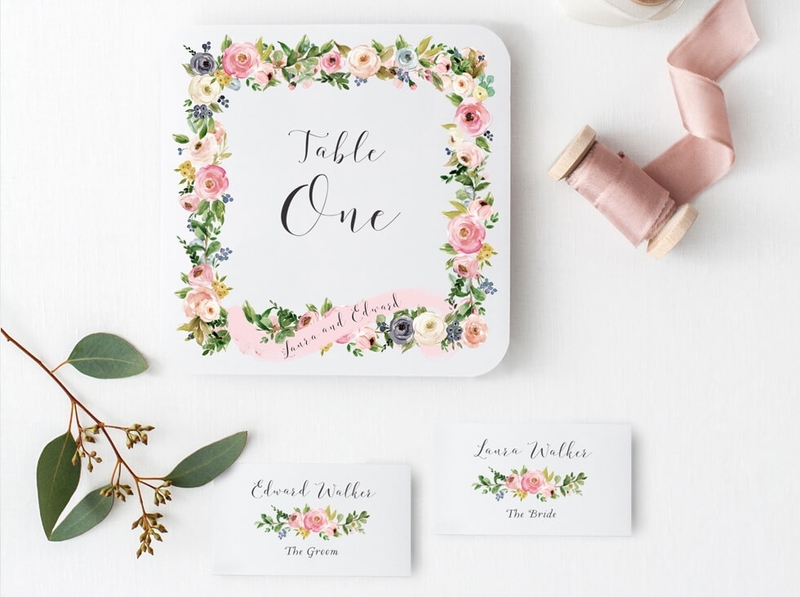 This new collection uses gorgeous hand painted blush pink posies to form a simple, charming love heart. 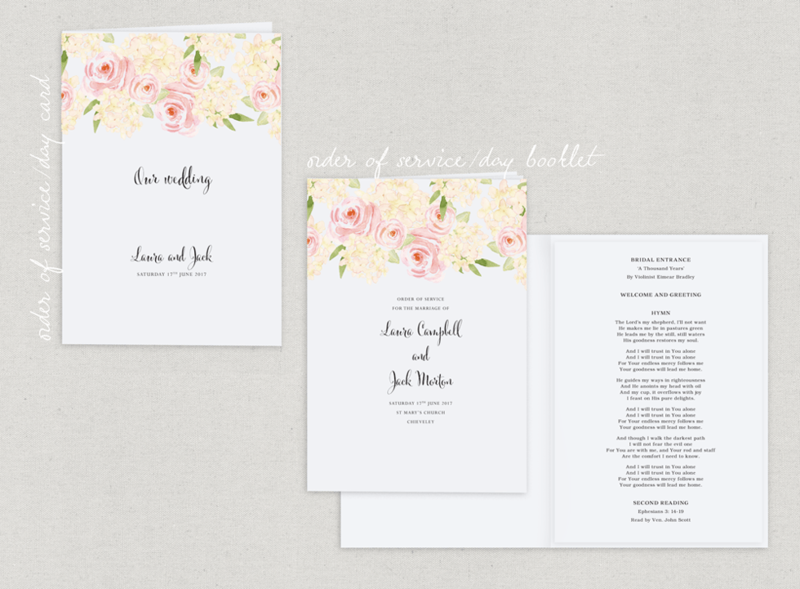 A new wedding stationery suite bursting with flowery loveliness! 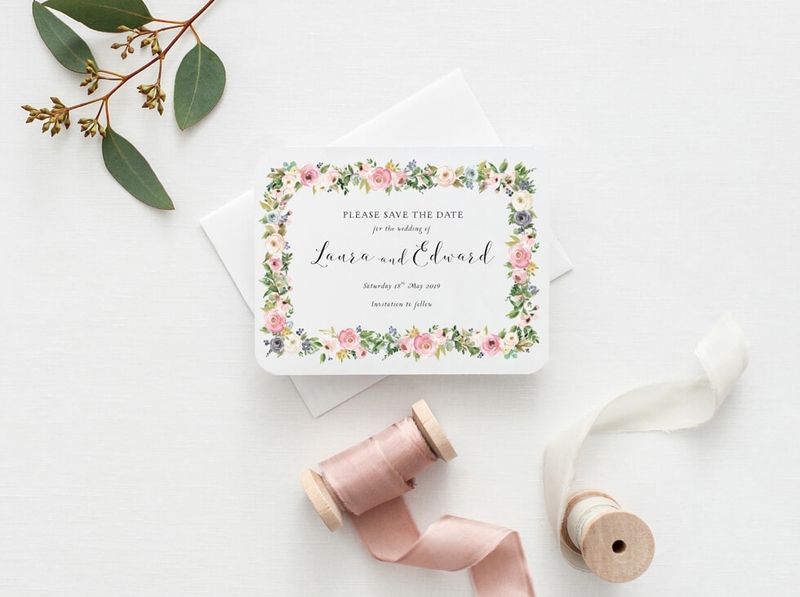 Perfect for a spring wedding. 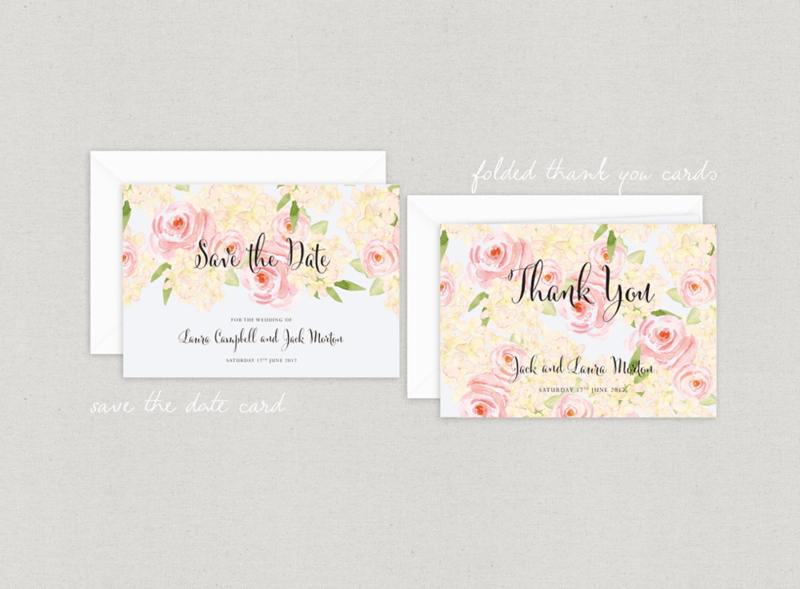 Painted flowers and cascading foliage decorate this romantic stationery suite. 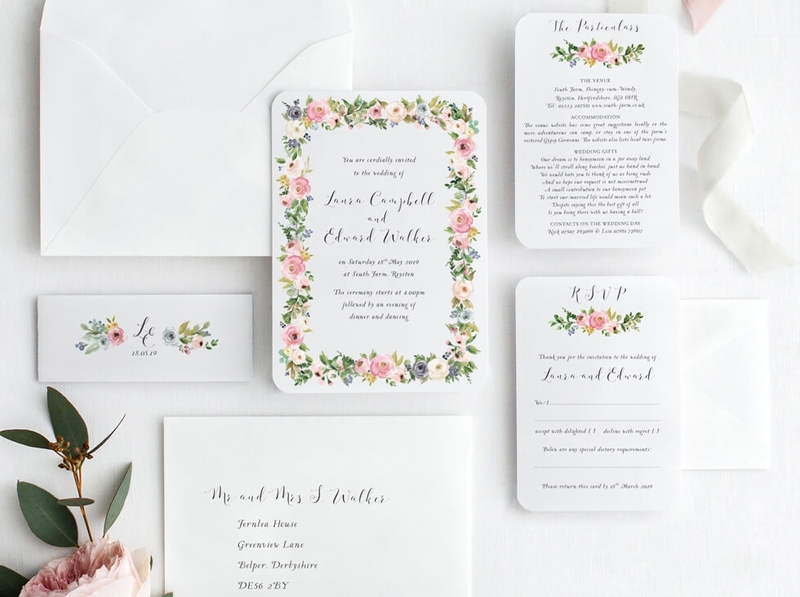 A gorgeous wedding stationery collection, full of fanciful flowers! 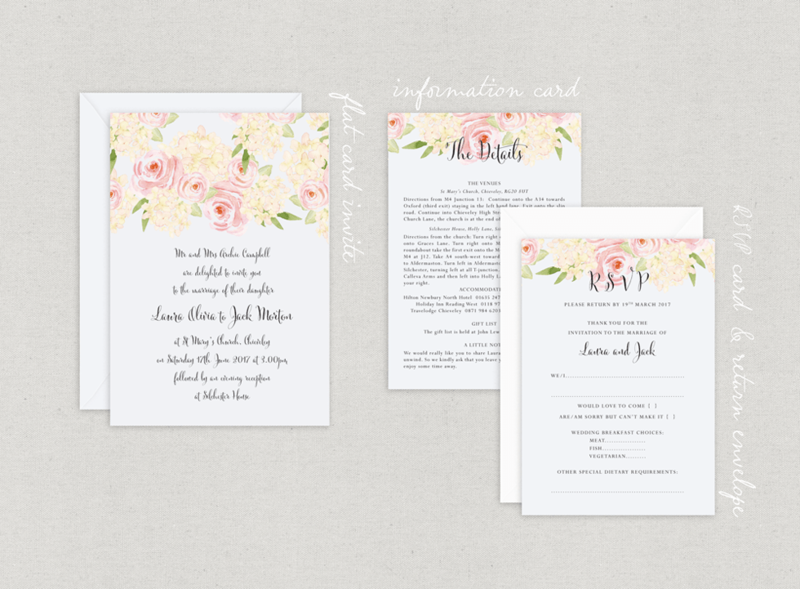 The Festival invitation suite was a bespoke design for a bright and colourful, flower filled wedding. It is such a refreshing collection and we loved it so much we added it to our range. 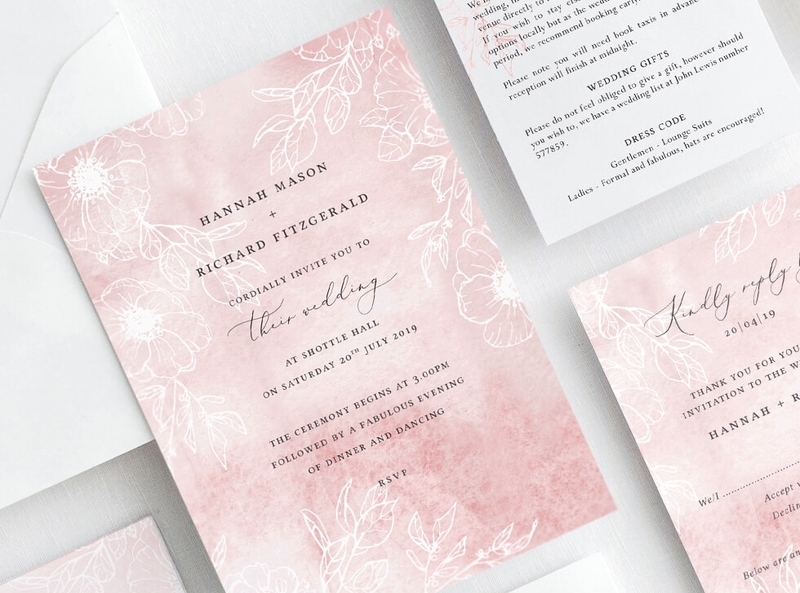 It can be printed in your wedding colours, and it works well in both the bold and more subtle shades. 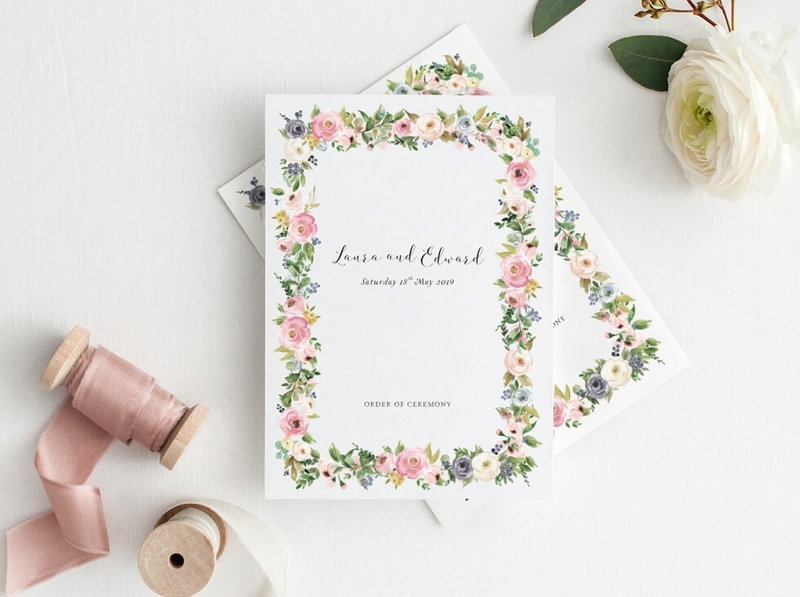 A pretty wedding stationery design capturing the romance of a late summer. Hydrangea and Roses are my two main flower crushes! 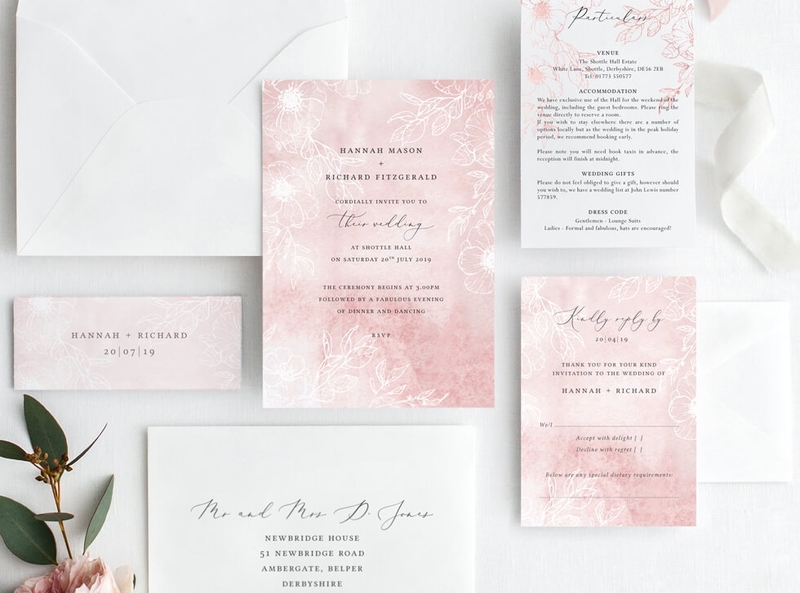 Combining the gorgeous layers of the painted pink rose with the delicacy of the pretty Hydrangea petals, this is a truly beautiful wedding stationery collection.